Faced with a surplus of grapes and wine, more top U.S. vineyards and wineries are selling to négociants, who release wines under their own labels at value prices. 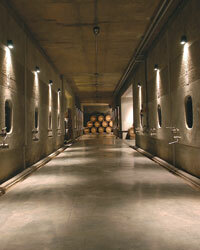 Castle Rock, one of the most successful American négociants, focuses on Pinot Noir from a wide range of top regions. This fragrant, taut red uses grapes from Oregon. Shebang!a robust, darkly fruity blend of Zinfandel, Syrah, Sangiovese and other varietiescomes in a ring-handled moonshine jug. It's the brainchild of Morgan Twain-Peterson, the son of Ravenswood Winery founder Joel Peterson. 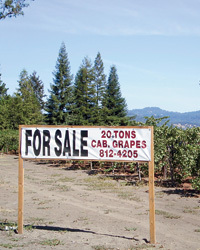 Minor spent nearly two decades managing top wineries, such as Beaulieu Vineyard and King Estate, before choosing to found his own company. His velvety Merlot is impressive. Hughes purchased this juicy, strawberry-inflected Pinot Noir from a top Napa winery (he won't name it) that was concerned it wouldn't be able to sell all of its wines at full price. This fresh, Cabernet Francdominated blend has an intriguing herbal note. Besides connections to top vineyards, Teira has a great asset in Bill Knuttel, founding winemaker of Saintsbury and current head winemaker at Dry Creek Vineyard. His expertise shows in wines like this spicy, elegant red. Waterstone gets the majority of its Merlot from Napa Valley's Truchard Vineyards, one of the largest and best vineyards in the region. 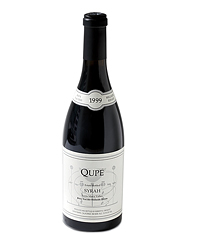 The wine is lush and deeply flavorful, reminiscent of ripe black cherries. BonAnno's cassis-scented bottling, made partly from Stags Leap District grapes, is one of the best values in Napa Valley Cabernet, especially in the terrific 2007 vintage. 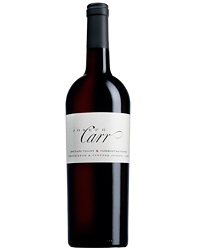 Carr, a former sommelier (and winery executive), makes wines like this blackberry-edged Cabernet at a former thoroughbred-horse farm in the coastal Carneros region. Oregon's Domaine Drouhin steps into a négociant role with this bright, tart Pinot Noir, buying grapes from a variety of top Oregon growers.